Plymouth Albion have signed Exeter lock Romana Graham on a short-term loan. Albion had originally announced the double signing of Graham and Chiefs centre Sireli Naqelevuki, but later said "visa issues" had prevented the Fijian-born back completing the move. Graham, 27, has struggled to break in to the Chiefs first team this season, with his only two appearances coming in the LV= Cup. Graham will go straight in to the side to face Munster A on Friday. "Having players like Romana join has given our whole squad a lift," said Albion head coach James Shanahan. "He has played top-quality rugby and when Exeter contacted us to see if we could give him game time it was good for us as we have a few players struggling with injury." 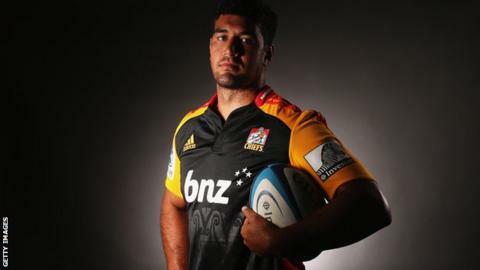 Graham, who has represented New Zealand Maori, played Super 15 Rugby for New Zealand's Chiefs for the last five years and also appeared for provincial side Waikato before moving to Sandy Park in August. "It's a bit like James Phillips going down to the Pirates, we need to get game minutes into Romana," said Chiefs head coach Rob Baxter. "It's good that we have a working relationship with the guys down at Plymouth Albion and we know the situation will benefit all parties." Fijian-born Naqelevuki was a regular for the Chiefs in the Premiership last season and signed a two-year contract at Sandy Park in April, but has fallen down the pecking order this campaign.